Many business leaders today agree that we need to put people first. Most chief executives trot out the tired adage ‘people are our most important asset’ on a fairly regular basis. But what does this really mean? 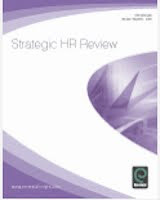 Most things I hear said and that read about HR still refer to people’s increased importance in reference to their role in implementing business strategy. Managers know that it is not enough to develop a great strategy, they need to be able to deliver it too. And they know that execution of these plans is increasingly difficult. So they need to engage their people. People are no longer just a resource to be used and expended, they need to be treated as a key asset; being developed and invested in. I agree that people are central to effective implementation of strategy but I also think people, or at least talent, offer a much more significant opportunity than this. People can be central to the identification and development of strategy as well as its implementation. The right people, managed in the right way, and supported by the right environment now offer any organisation the greatest opportunity for competitive advantage (or for organisations in the public sector, for transforming the type and level of services that are provided). This is why the concept of human capital is useful. We should no longer see people as just resources or assets (human resources) but providers of human capital. And increasingly, an organisation’s success is determined by the amount of human capital it has available. 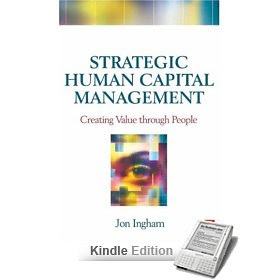 Not just because human capital enables it to implement its business strategy, but because of the strategic ambition that human capital enables the organisation to have. Think about the other sources of competitive advantage which were previously the most important: financial capital and customer capital. When these were each most important, businesses didn’t just think about using them to implement existing business strategies. They have been used to develop new business strategies supported by activities that would have been impossible without them. So why do we think about human capital / people management simply as something that will ease implementation of existing business strategies? I think we need to be thinking about the extra capability or engagement we could develop in our people, and the additional business benefits this would provide. People management shouldn't just support existing business objectives, it can also provide the basis for setting more stretching or different business goals. I think SHRM President, Susan Meisinger, described the advantages of imagination over evidence quite nicely in August's HR Magazine. "Imagnation is more important than knowledge. For knowledge is limited to all we know and understand, while imagination embraces the entre world, and all there ever wil be to know and understand." 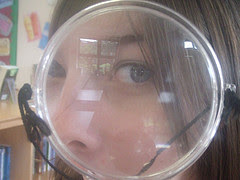 As AnneLiseKjaer explains, there are no facts (knowledge / evidence) about the future. "We are not investing in products or business plans today, but in people who have the ablity to magine and connect the dots." "HR professionals have an important role in creating an organisation culture that cultivates the imagination of their workers, taps the power of those imaginations, encourages experimentation and removes obstacles for innovative action." Absolutely. I think SystematicHR's got some good posts on this. But my build on this is that HR is more likely to help the rest of the organisation be more innovative when it is being imaginative itself. I was a bit more critical of Philip Stiles' article on global HR than I'd intended, probably because I had just been listening to some mp3 files sent out by the CIPD after the September conference, including one on Phil Rosenzweig on the Halo Effect. And I thought that some of the challenges aired by Rosenzweig applied to Stiles' research. Rosenzweig emphasises the need for decisions to be based not just research, but good research, which as he explains in his blog , posting on his experience at the CIPD, must be: "well designed, with solid data, and appropriate inferences drawn from the data". So commenting on in-company research conducted by First Direct (HSBC), he questions whether engagement leads to business performance, or the other way around, and indeed challenges the value of engagement itself: "Engagement is surely important, but by itself is likely to be of little value". Based upon this, he then questions the value of celebrating personal events like births and weddings if this is at the expense of making tough decisions in a business. Mmm. Well, my belief is that engagement does have tremendous value, and I know that there is engagement research which indicates causation not merely correlation. But I'm not sure I could ever prove this fact to the level of confidence that Rosenzweig requires. Of course, Rosenzweig isn't alone in emphasising the value of research based decision making. Jeffrey Pfeffer published a book on the subject, Hard Facts, last year. And see this website. The Academy of Management Journal's October edition also emphasises the need for this research to come from academic rather than just practitioner periodicals. Also, a few weeks ago, People Management featured an interview with Rob Briner, who is fairly well known for his view that there is no medical or psychological meaning behind stress, and has more recently been talking extensively about evidence based management. Briner lists empowerment, TQM, excellence, downsizing, emotional intelligence, business process re-engineering, and what he describes as his current favourite, talent management as fads developed due to lack of clear research evidence. Unfortunately he doesn't provide any evidence for this inference. To me, these are all part of my current tool bag, and I use them when the need arises. Yes, these were probably all over hyped when they were introduced but there were good reasons for these peaks in activity too - companies need to be able to identify and apply new thinking that can provide them with competitive advantage, and organisations that have applied these techniques effectively have and do gain advantages from using them. In fact, Briner does note that "evidence is only one of many factors, such as past experience and organisational data, that should also shape decisions". I agree these other factors are important - and I do agree that research evidence has its place. But I'd also add intuition and imagination to this list. So if I favour a more rounded approach to people management to pure evidence-based management, why do I post so frequently on the latest research findings (Watson Wyatt , Towers Perrin and IBM etc)? I'll admit this is is partly because doing this draws a lot of traffic to my blog. More importantly, it allows me to describe my own views and the extent to which they agree or differ from the research findings. And this to me is the real benefit of research - it provides the basis for conversations within organisation about what it is that executives within those organisations believe, and what they're going to do. And most research studies, even the most informal, and even if there are findings that can be challenged, are usually based upon a central nub of 'truth'. On this, I'd agree with Rob Briner who states that: "You need to look at the picture emerging from the cumulative body of research". When many pieces of research say the same thing, for example that engagement does inform performance, this is enough for me. You may also be interesting in reviewing my comments on HCM as a decision science (here and here). And I also recommend Lancaster lecturer Anthony Hesketh's challenge of scientism. People Management includes an article written by Cambridge lecturer Philip Stiles; 'A world of difference'. Why do I say 'to some extent'? Well, firstly, just because this is what HR practice is, it doesn't mean that it's what HR practice should be. 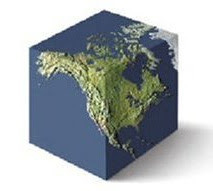 or no difference across the world." To me this is less about global practice diversity than it is about practice diversity per se. It takes me back to Gary Hamel's point that although in most sectors there are a number of different business models, across all sectors there are very few variations in management practice. 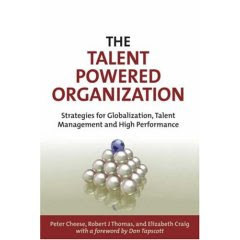 "Organisations seek what works - and, for HR in multinational companies, the range of options is limited to a few common practices that are believed to secure high performance... Companies imitate the practices of other successful firms to gain legitimacy". So just because we don't vary our HR practices across countries doesn't mean they would perform much better if we did. "We did see local adaptations of global standards, of course, but these were often to do with a particular country's regulatory practices, labour market issues and stage of economic development, rather than its cultural values." In my experience, it's often hard to disentangle these: regulatory practices are often a result of cultural values. So I'd argue that values are having an effect. "Rolls-Royce recognised that traditional, western-style performance appraisals and forms of upward feedback could be problematic in Asian countries. Other western-based multinational were careful when it came to recognising individual achievement in countries with collectivist cultures. But even here we saw in many cases that the companies took a "non-negotiable" approach to their global practices. The local variations they allowed were minor." "God is in the details. Nuances make all the difference. Subtle shadings in the definition of human capital elements are magnified when applied in a strategic context." I'm still with Hofstede - flat or not, I think cultural issues are bound to have a very significant impact on the way we manage our people around the world. * = Note Stiles quotes research conducted by Gerhart and Fang which shows organisational differences accounted for more variance in employees' values than did country differences. I will be speaking on these and related issues in a presentation at VIEW, the online and “virtual” conference and trade show for HR, Benefits, Staffing, Compensation, and Training professionals, on December 12-13, 2007. The event is 100% online, virtual and free to corporate HR practitioners. My session on Global HR: Trends and Differences is scheduled at 9.00pm GMT / 4.00pm ET and will be followed by a live Q&A with attendees. VIEW features all the benefits of a premier in-person HR conference without the cost, travel or hassle associated with traditional events. Attendees will be able to interact with over 1,000 people via chat or email, attend educational presentations by over 40 of the best thought leaders in each of 9 pavilions, visit over 70 booths in the exhibit hall and enter to win prizes. The best part is that it can be done without leaving the comfort of your office (in fact, you attend VIEW from wherever you happen to be, as long as you have a high speed Internet connection). For more information, see www.hr.com/view. In the spirit of authenticity, I should note that although my plan is to focus on consulting through Strategic Dynamics for at least the next couple of years, as I’m making a transition of sorts, it has seemed to be an appropriate time to look more widely as well. So I’ve recently been talking to a range of consultancies for roles as diverse as Practice Director for HCM at Axon (Europe’s leading SAP implementer) and Client Partner in Leadership Services at Korn/Ferry, but I’ve not yet found a role in another consulting firm that I have felt would enable me to provide as much value as I know I can, and indeed have been doing, through Strategic Dynamics (well, OK, some of them I've not been offered either). I’ve also considered a return to a corporate HR position. For example, I’ve recently been interviewed by Saxton Bampfylde Hever for a very interesting role: VP, HR Strategy & Planning for a 100,000 employee, UK based multinational. If you know of any roles like this, or know of anyone who might, or even just someone who may want to talk to me about how we could create more value through their people management strategy and activities, but on an employed rather than consultancy basis, I’d be pleased to hear from you. For me, the vehicle / contract basis I use for my work is less important than what I do within this work - and what enables me to optimise the value that I add and create. If I can do this best within a corporate role, and can move to this without letting my current clients down, then so be it. But for the meantime, my main focus will be continuing to go into consultancy work through Strategic Dynamics. As I'm going to be doing more consultancy through Strategic Dynamics, I thought this would be a good time to describe a bit more about the sort of work I do. Also, I had a very interesting conversation earlier this week with William Tincup and Bret Starr, from US based HCM marketing firm Starr Tincup who have been talking to a number of HR suppliers in the UK this week (see William's new blog). Once we'd talked about the state of the UK's HR / HCM consultancy market, I asked whether they had any advice for me / Strategic Dynamics. One of their ideas was to set up an HCM ning, which I have started (largely for my own interest and amusement) and you can access here. I must admit I'm not too sure what I do with as yet, however! They also observed that although I appear strong on intellectual capital, it's difficult to tell from my website and my blog what it is that I do. "You need to make the invisible visible", they said. Develop the capability of HR Directors and teams to do more of this themselves. In everything I do, my focus is on providing a significant benefit - helping clients meet their business goals and create human capital / organisational capability that enables them to set different or more stretching business objectives. So I think what clients get from me is an insightful and collaborative approach, but mainly the ability they need to make the difference through their people." In many ways, I'm in the same situation with my clients, and particularly potential clients, as these clients, mainly in HR, are when they (you?) 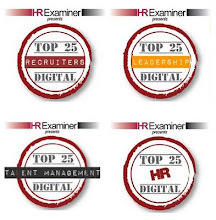 have to convince their (your) business colleagues of the benefits of investing in HCM invisibles like engagement. So, any suggestions, particularly from those of you in corporate HR roles, as to how I can make my services less invisible to you? 1. Engagement has a significant impact on business and financial performance. 2. Engagement has a significant impact on retention. 51% of engaged staff have no plans to leave their organisation compared to only 15% of disengaged. (Actually the bigger problem may be that 50% of disengaged employees are not looking for a job and are therefore contributing to the ‘living dead'. Towers suggests these staff “may need to be driven out with a crowbar”. 4. Despite these positive indicators, the global workforce is NOT highly engaged. Only 21% of employees are engaged compared to 38% who are either disenchanted or disengaged. In terms of global differences, Mexicans proved to be the most engaged, followed by Brazilians and Indians. US respondents ranked fourth. The last engaged workers were the Japanese, followed by residents of Hong Kong and South Korea. 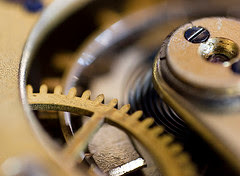 In summary, there is an “engagement gap – between the discretionary effort companies need and people actually want to invest and companies’ effectiveness in channelling this effort to enhance performance”. The key influencers are rewards, learning and development, strategic direction, senior leadership, image and reputation, and innovation. This findng / conclusion echoes my own perspective and experience with engagement, and was supported by research conducted by myself and colleagues when I worked for Penna. This showed that for knowledge roles at least, key engagement factors tended to be work life balance, senior leadership, organisational value and then the line manager's role (in that order). However the finding directly contrasts with Gallup’s perspective that the line manager has the most important role in engaging their staff. One potential reason for these differences may be the way that the various tools define engagement. I’m going to have a longer look at this over the next couple of weeks. Towers’ findings indicate that senior leaders are not making the most of this opportunity. Only 49% of workers say that senior management’s actions are consistent with their values and just 38% say that senior management are sincerely interested in employee well-being. Only 10% agreed that “senior management treats is as if we’re the most important part of the organisation” (the core concept in HCM). More than half felt “senior management treats us as just another part of the organisation to be managed” (as in Human Resources) or “as if we don’t matter” (Personnel). IBM provide some useful drivers of employee retention. InfoHRM have just launched a report on human capital measurement in Europe. 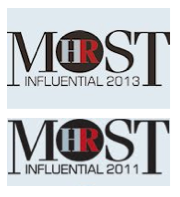 European HR leaders emerge as agreeing strongly that HR measurement will increase in importance over the next 5 years. Against this, they are extremely concerned with the ability of current measurement systems to meet the increasing demands of HR reporting and analytics. Over 75% of organisations still need to make the leap from measuring efficiency to effectiveness, and many have still to move from process-based metrics to human capital impact measures. 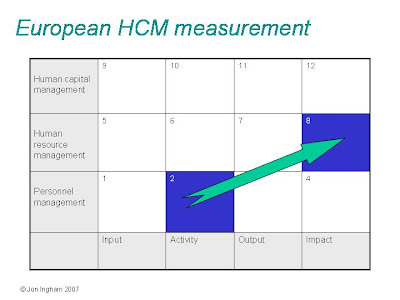 For true HCM, I'd suggest organisations really need to think about measuring human capital itself in cell 11. And although I have concerns about an increasingly heavy focus on measurement in taking organisations to HCM (creating value), I agree that it is a hugely important enabler in moving from Personnel, with its heavy focus on activity and efficiency (value for money) to Human Resources' focus on effectiveness (adding value). So I think InfoHRM's report is a useful intervention to encourage organisations to make this journey. I just don't think these organisations should confuse this with getting to HCM. 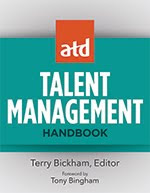 And as well as focusing broadly on the entire workforce, adaptability requires the use of talent management with a greater emphasis on segmenting and targeting talent throughout the entire employee lifecycle (ie my vs Peter Cheese's definition of talent). To do this effectively, organisations need to become more innovative in the ways they attract, motivate and develop employees. Focus is also required on what in many organisations is a leadership gap. In fact, an inability to develop future leaders was cited as a critical issue by over 75% of IBM’s survey respondents. 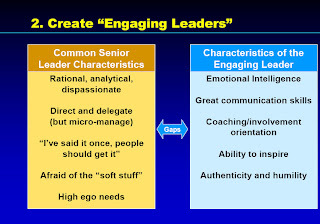 However, developed leaders need to be given challenging roles that allow them to apply their new skills if they are not to be lost to competitors (echoing the finding in Watson Wyatt’s Human Capital Index that development can have a negative impact on business performance unless it is put to good use). IBM also believe that managing this kind of talent market requires a structured, analytical approach: “A more data-driven, fact-based method to hire, pay and reward top performers”. “If the workforce is truly to be valued as an asset, much like financial capital or brand equity, the entire C-suite, not just HR, will need more robust and accessible information about current and future talent needs, employee productivity and resource availability. Again, I’m not against measurement and analytics, but I think these need to be conducted very strategically, and often qualitatively. And I simply don’t believe that more or even better measurement is the difference that will make the difference in HR’s strategic impact. The magic is in truly developing an adaptable workforce (or whatever you decided is going to be your organisational capability, perhaps even something that will make you seem a bit strange? ), and using measurement as an enabler to this. Through this recent global survey, IBM have developed four themes they believe need attention in the global economy. Finding that only 14% of their respondents believed their organisations are very capable of adapting to change, IBM identify ‘developing an adaptable workforce’ as their first theme. To make improvements here, organisations need to be able to predict future skill requirements, be able to identify and locate experts and be able to collaborate across their organisations. This supports recent findings by InfoHRM that only 14% of organisations are prepared for the potential loss of skills, corporate knowledge and leadership that will occur within the next five years. In fact 79% already report a big gap in their talent pipeline, and 40% say that this is already an acute problem for them. Don Taylor has already posted on how capability management and the support or usable competency frameworks supports effective skills planning and management. I’ve also already posted on the value of competency frameworks to support integrated HCM systems. But there’s clearly a push-back against their use. 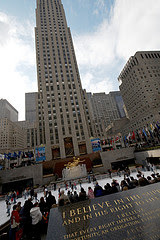 Jason Corsello, the Human Capitalist, has argued that competencies are overrated. And I’ve also already commented on Bersin's findings that many organisations are using more generic profiles rather than competency frameworks to drive HCM systems integration. I still think competencies can be a big enabler towards the adaptable workforce. But I do agree that it’s essential that they are developed and managed in an appropriate way. 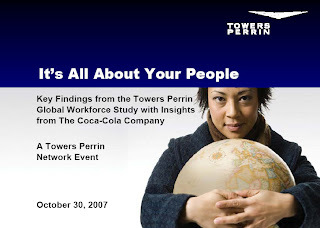 Firstly, Tower Perrin's 2007 Global Workforce Study, 'Winning Strategies for the Global Workforce'. Noting that "the fundamental element required to thrive and grow in today's business environment is people - the energy, ingenuity and engagement of your workforce", Towers' report proposes that "senior leaders need to make the leap to a more inspirational and engaging style of leadership". I think a ‘leap’ suggests a move from one S curve to another. Why a leap? Well, it's clear that leaders are not "walking the talk" when only 37% of employees believe that "senior management treats them as valued and respected contributors". The potential to engage employees is clearly there - "employees are eager to invest more of themselves to help the company succeed (and will do so if they see the personal ROI)". So why aren’t we leveraging this? 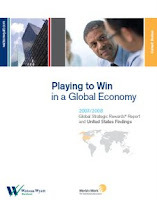 Well, Watson Wyatt’s global strategic rewards report 2007/08, ‘Playing to Win in the Global Economy' suggests that many employers are being slow to wake up to the changing demands of the workplace and employment. Too many remain wedded to traditional assumptions. So are we at the turning point? 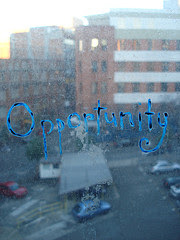 Can you see the window of opportunity? And have you made the leap yet? 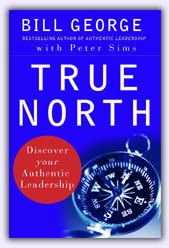 I’ve just started this new book, written by Peter Cheese and colleagues at Accenture. I’ll come back to the key points in this book again later, but I thought I would post now on Accenture’s, and my own, definitions of talent and human capital. Talent refers to the “total of all the experience, knowledge, skills and behaviours that a person has and brings to work”. It is therefore “an all-encompassing term to describe the human resources that organisations want to acquire, retain and develop in order to meet their business goals”. 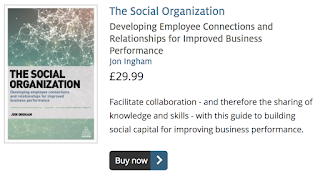 Human capital “conveys a greater sense of the value attached to the employees of an organisation, and a wider sense of economic contribution than is inspired by the term ‘talent’ ”. It “tends to be used when we think about the strategic, economic and financial aspects of talent, particularly how human capital contribution could be permanently increased by investing in human development”. Peter Cheese also notes that “ ‘Human capital has fallen out of favour in some quarters.” This is supported in Tech Republic responding a post ‘Why human capital is insulting’ yesterday. 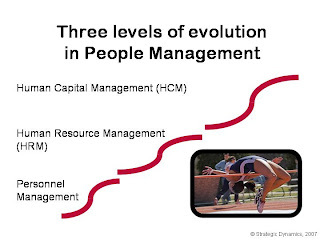 As I said in these comments; for me at least, HCM is about managing people in a way that accumulates an intangible called human capital in order to drive competitive success (‘managing people for human capital’, not 'managing people as human capital'). Human capital’s link to economic and financial success is an important aspect of the concept, but I think we need to define it by what it is (an intangible capability) rather than what it provides (the basis for competitive, economic and financial success). Talent, again for me, relates to people with specific and important skills or other attributes, and therefore relates to one or more sub-groups of the full employee population. Talent will therefore provide a sub-set of an organisation's full stock of human capital (but based upon the Pareto principle, my provide a substantial proportion of it). When I get time, I will develop these points in my wiki but (whether or not you agree with me or Peter Cheese, or you have a perspective of your own) please do feel free to add your thoughts or other definitions there too. Don Taylor's post on the subject. One reason I think that the new people management S curve is less rather than more measurement focused is because of the nature of the elements we are dealing with. Personnel and HR Management have dealt mainly with tangible aspects of people working in organisations – for example, absence / attendance, hard skills etc. The management of these elements depends on fairly clear chains and systems of cause and effect relationships. Human Capital Management focuses on human capital, for example, leadership capability, engagement, wellness, etc, which are all intangibles. The management of these intangibles will demonstrate the attributes of complexity: cause and effect being distant in time and space. "Where the truth is not immediately evident even to an expert but emerges over time, where cause-and-effect relationships are not well established, where positive results come from offering incentives rather than issuing commands, and where, consequently, the tools of influence and decision making are subtle and ill-defined." 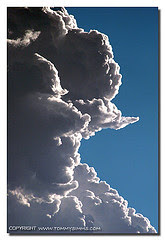 "In a complicated context, at least one right answer exists. In a complex context, right answers can't be ferreted out. 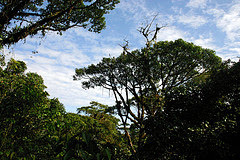 It;s like the difference between, say, a Ferrari and the Brazilian rainforest. Ferraris are complicated machines, but an expert mechanic can take one apart and reassemble it without changing a thing. The car is static, and the whole is the sum of its parts. The rainforest, on the other hand, is in constant flux - a species becomes extinct, weather patterns change, an agricultural project reroutes a water source - and the whole is far more than the sum of its parts. This is the realm of 'unknown unknowns', and it is the domain to which much of contemporary business has shifted." They explain that in a complex environment, leaders must guard against temptations to "fall back into habitual, command-and control mode" and to "look for facts rather than allowing patterns to emerge". Measurements don't help because "though a complex system may, in retrospect, appear to be ordered an predictable, hindsight does not lead to foresight because the external conditions and systems constantly change". Use methods that can help generate ideas. HCM – a right brained approach to people management? The right brain vs left brain test - do you see the dancer in this link turning clockwise or anti-clockwise? I’d come across this wonderful test in HR Circles a couple of weekends back, but neither my wife or I could make the dancer turn anti-clockwise, so I dismissed it as a bit rubbish. However, on Friday afternoon (my office bans access to blogs, but they don’t know about Google Reader, ha ha! ), I read Scott McArthur's rant stating that he did see her rotate clockwise, and I decided to have another go. I won’t say quite how long I tried to sort it out for myself, but eventually I asked some of my colleagues to state their views. One of them, Nick, said he thought she was turning in a clockwise direction. When we talked about what we were each seeing, the way to change the movement of the dancer became quite apparent, although making the switch still proved quite hard. 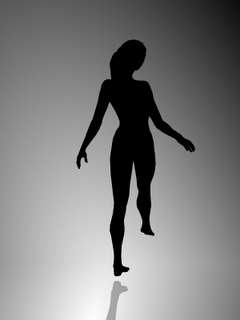 If you’ve now had a go, and for at least those of you who have been paying attention to my blog, particularly to my own rants against excessive measurement, you won’t be surprised to learn that I see the dancer rotating in a clockwise direction. I guess this perspective was also partly behind my gradual move from chemical engineering into HR. OK, HR can be left brained too, but it doesn't normally require partial differential equations! So am I simply biased against measurement because from a personal point of view, this isn’t the way I think? Well, I’m sure this plays a role. But I also strongly believe that HCM, or whatever we want to call people management in the new sigmoid curve, has to rely on a right brained, rather than a left brained approach. I have a nephew with autism and would like to highlight a new campaign being run by the National Autistic Society. The aim of the campaign is to raise awareness of autism and the problems encountered by autistic people in their everyday lives. The attitudes of others can make a world of difference to autistic people and a little understanding can go a long way towards helping autistic people to navigate their way in a world that, for a lot of them, can be a very worrying and confusing place. You can help this campaign by simply looking at the campaign website to find out a bit about autism and gain some understanding of the difficulties that autistic people face. And it would be great if you could also forward this note to as many people as possible to help raise awareness. The NAS is the leading charity for people affected by autism and is committed to creating a world where autism is understood and where people affected by autism receive the help and support they need. We want to change how people think about autism - so today we have launched our new think differently about autism campaign to create greater understanding of autism. We need your help to get as many people as possible to think differently about autism and join the campaign so we can make a real difference for people affected by autism. There are loads of quick and easy ways you can support the campaign and help spread the word. Visit our campaign website http://nas-autism.org.uk/re?l=bks3tpI38hi4adI1 to sign up to our government petition and find out about other ways to support the campaign. Watch the first of our four campaign films and then forward it to your friends and family. Encourage everyone you know to visit the website and support the campaign. 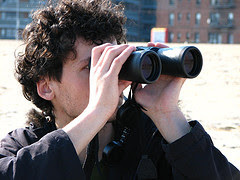 In spring 2008 the campaign will focus specifically on the issues facing adults with autism and campaigning for the UK government to take action to address the desperate lack of services and support for adults with autism. We will keep you updated on how you can support this part of the campaign. The National Autistic Society 393 City Road, London, EC1V 1NG, United Kingdom.Tel: +44(0)20 7833 2299, Fax: +44 (0)20 7833 9666, Email: nas@nas.org.ukVAT registration number: 653370050; Registered charity number: 269425 © The National Autistic Society 2007. I would just like to take this opportunity to congratulate Martin Lukes, as a fellow blogger, on his promotion to Chief Exective at a-b glöbâl. Somehow, I can’t see things progressing smoothly however! I've just finished my presentation on 'Human Capital to drive Business Excellence' at the Human Capital Forum in Jakarta (alongside US based business excellence / Baldridge consultant Mark Brown). It was an excellent event - extremely well organised, sponsored by a knowledgeable and articulate Minister form the Indonesian government and attended by 300+ participants, armed with a large number of high quality, probing questions, which I think says a lot for the Indonesian HR profession and business management teams. I didn't get through all of the questions that were asked me, so once I have received these from the organising committee (*), I will add my answers to these questions to this post. Participants can also email me any additional questions direct, or can provide your questions as a comment to this post (click on 'Comment' below this text). Thank you all for your great participation. * = I'm afraid we weren't able to track down these questions.